A Kanjeevaram Lehenga? Have you ever thought of that? Banarasi, sure. But a Kanjeevaram Lehenga? Sailesh Singhania is an expert in bringing back old culture in new formats. So this year he showcased a bunch of beautiful paithani, kanjeevaram, banarasi sarees along with one absolutely stunning Kanjeevaram Lehenga. I am a little late in reporting this year Lakme Fashion Weeks looks to you. Only because, I was waiting for the prices to be released. You know how important that is to us all. After Anita Dongre’s budget lehenga collection at LFW, the next one that caught my eye was Sailesh Singhania’s outfits. When anyone tells me Kanjeevaram, I immediately associate it with heavy silk sarees typically worn by our mothers at weddings. 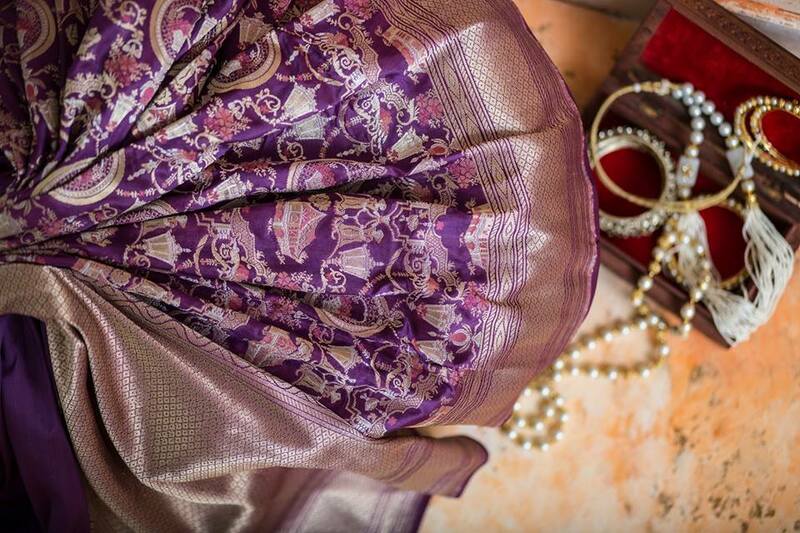 Kanjeevaram always looks exquisite but having a Kanjeevaram Lehenga that looks subtle and nice. Now, that’s commendable. This is a pearl white tiered banarasi lehenga paired with a silver tissue blouse and a gold tissue dupatta. Sailesh Singhania brings layered ensembles in soft hues featuring a pearl white lehenga with intricately embroidered jaal motifs, paired with light gold strappy choli, layered with a light gold check patterned jacket. Honestly, silk looks even better in person. You may not pick this as your pre-bridal piece, but your sister definitely can. Plus, if you have a winter wedding in your family, that gorgeous silk jacket is the most comfy fashionable thing you could wear. A combination of our signature hand-spun and handwoven Khadi Jamdani lehenga with a tissue slip and a gossamer organza Jacket. This time around, the designer ’s muse is the fictional Queen Gulnaar, the stuff of Persian legends, who was the protagonist Sarojini Naidu’s The Queen’s Rival. “Any mention of Queen Gulnaar always reminds us of her unmatched beauty. I want my Spring/Summer collection to reflect that,” says the designer – Indian Express. Latest LFW 2019 Anita Dongre Outfits Are All Under 1 Lakh!